Thursday, November 14 from 5:30pm – 7:30pm. Join us for hands-on demos, lab tours and food. 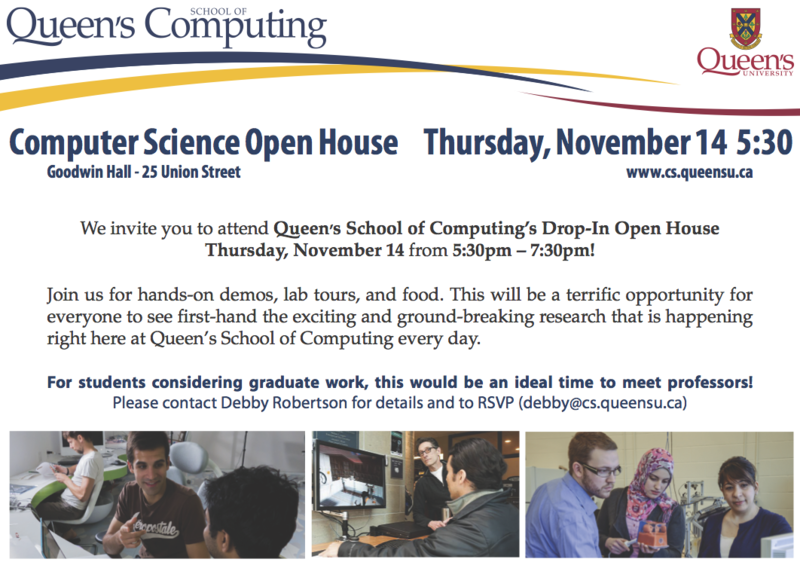 This will be a terrific opportunity for everyone to see first-hand the exciting and ground-breaking research that is happening right here at Queen’s School of Computing every day. For students considering graduate work, this would be an ideal time to meet professors!